I was getting ready to delete this image, as it is obviously ummmm... how would you say it? BLURRY!!! Yeah, that's a bit obvious; You didn't need me to tell you that, did you? However, just as I was beginning to hit the delete key, something stopped me. Yes, it's obviously a photo that deserves to go to the trash bin... but... I dunno... something stopped me, and I kept it. Why? I dunno. But, I kept it. well, you get just a big ol' mess of an image. I guess I did capture motion, eh? This photo is obviously, Straight Out Of the Camera! On another note, I'm considering purchasing a flowering plant, so I'll have something to photograph during the months when I'm stuck inside. However, I don't really have a green thumb. So, what are your suggestions? Does anyone have any experience with orchid plants? I think Orchids are very unique and beautiful, and I'm wondering if someone who doesn't have the best of luck with plants would be able to make an Orchid thrive? Yes, I'm good with bugs, wildflowers, and wildlife, but lacking in the indoor plants department! Hi Misty Dawn, well we all have to start some where. You have a great tool for information, it's called the internet. Just go to Google and input care of Orchids. That should give you lots of info. Or you could go to the local Greenhouse and ask them, they should be more than Happy to help you out. First and foremost ask lots of questions about Orchids. Hope this helps. There may also be an Orchid society in your area, they would have lots of tips and info for you. Garden centers, that sell Orchids would also be able to help you out. Don't buy Orchids at the local Box store, they have no one there that knows anything about plants. A friend of mine used to have many orchids in her sunroom, but when her health got bad, she had to give them up because she said they required a lot of care. I know nothing else about them except one of my very favorite old-time detectives, Nero Wolfe, had a whole greenhouse of orchids on his roof. Not all that knowledgeable of orchids, but photography...well, I have an opinion or two. 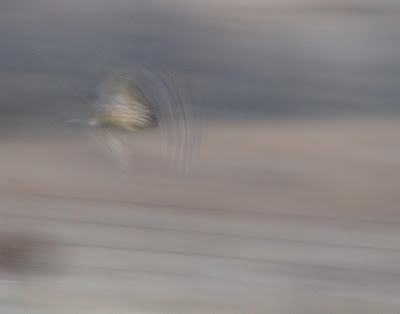 I like the blurred owl shot. There is a famous bird photographer who often talks about blurring shots. He does it with flocks of birds taking off. Birds in flight are really hard to capture unless you have an awesome camera. But, sometimes we do get lucky. And, though we may not capture what we intend to, sometimes what we do capture is more interesting. Even blurry can be neat!